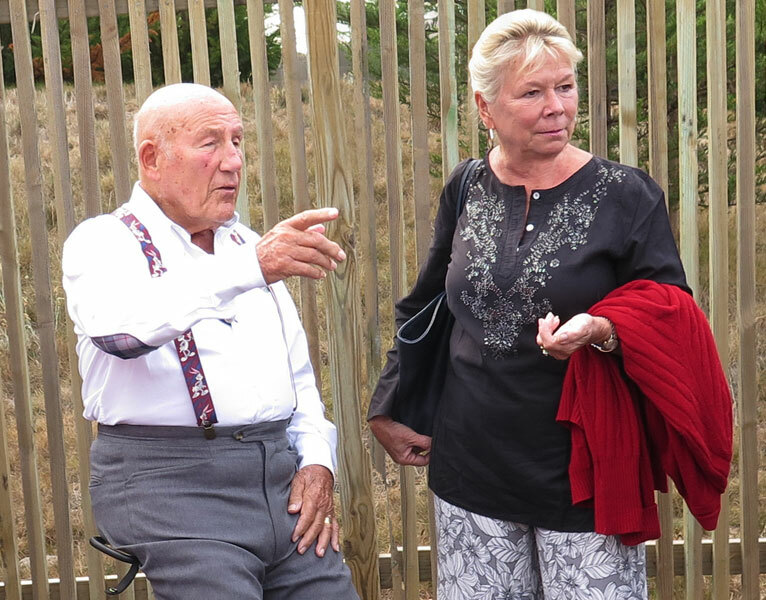 I was fortunate to see international racing star Sir Stirling Moss and Lady Moss a handful of times at Pebble Beach and Laguna Seca. 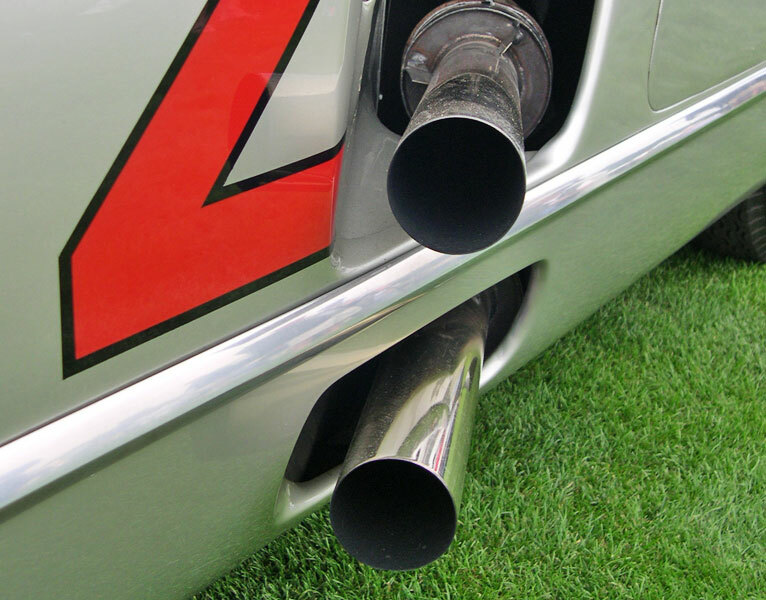 His legendary racing career is one of the greatest achievements in motorsports history. 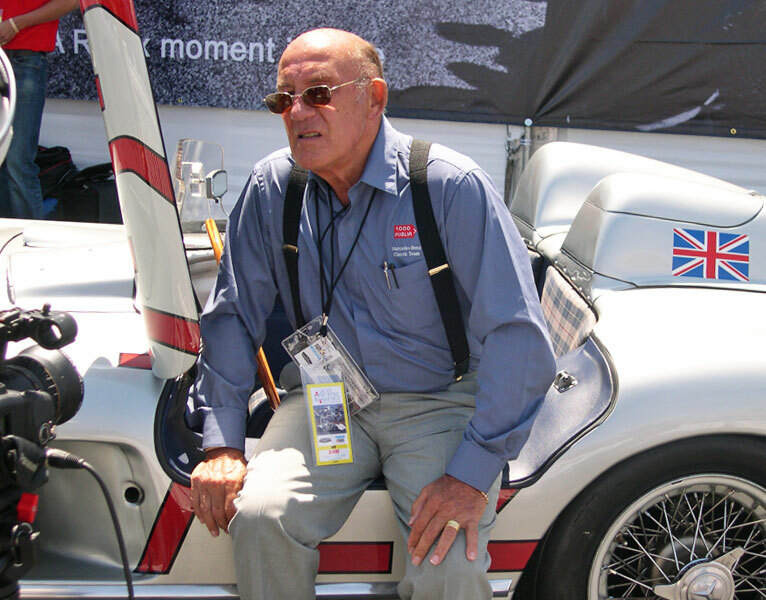 Thanks to Mercedes-Benz his famous 1955 Mille Miglia winning 300 SLR was in attendance too. It is great to see the two reunited as often as possible. 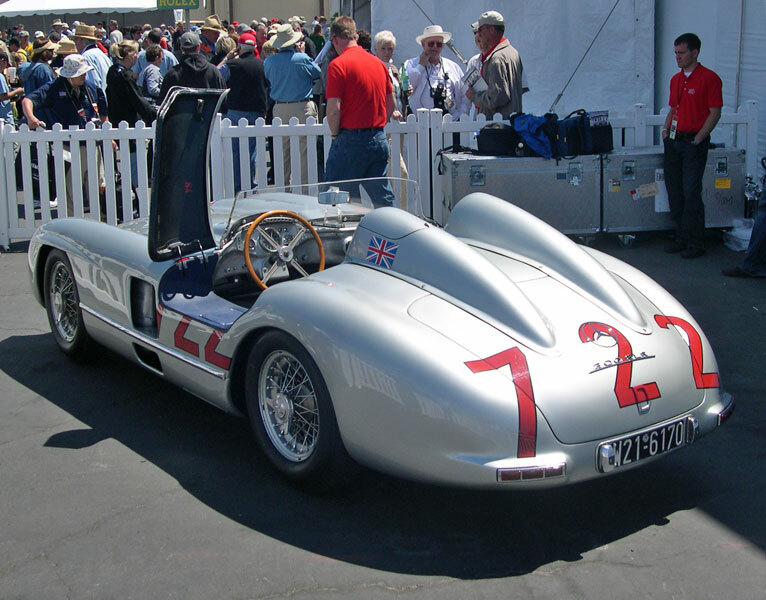 I found out the car wears the number 722 as 7:22 was its starting time for the 1955 Mille Miglia race. 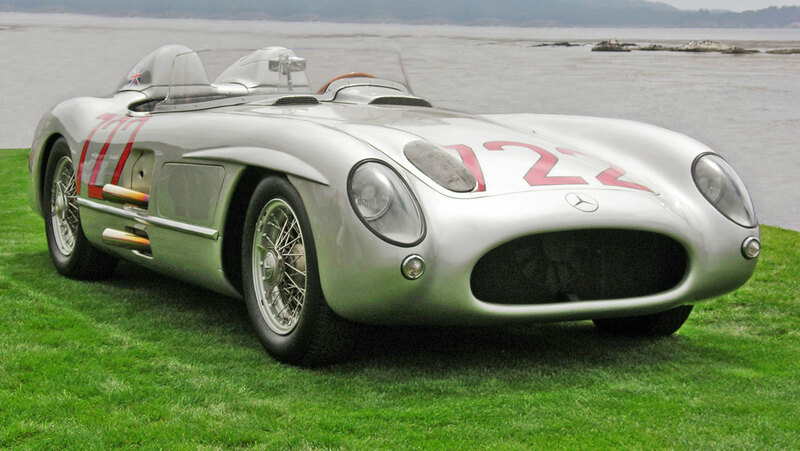 The Mercedes-Benz 300 SLR not only looked cool but was very advance for 1955. 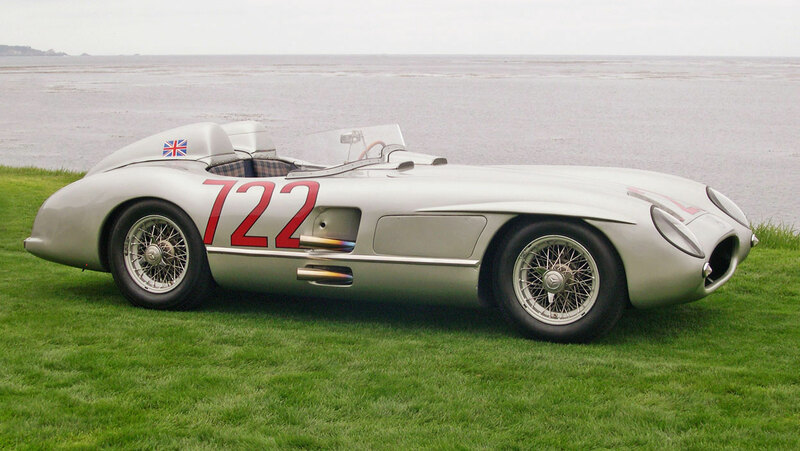 These lightweight, fast cars ended up in the winner’s circle many times. 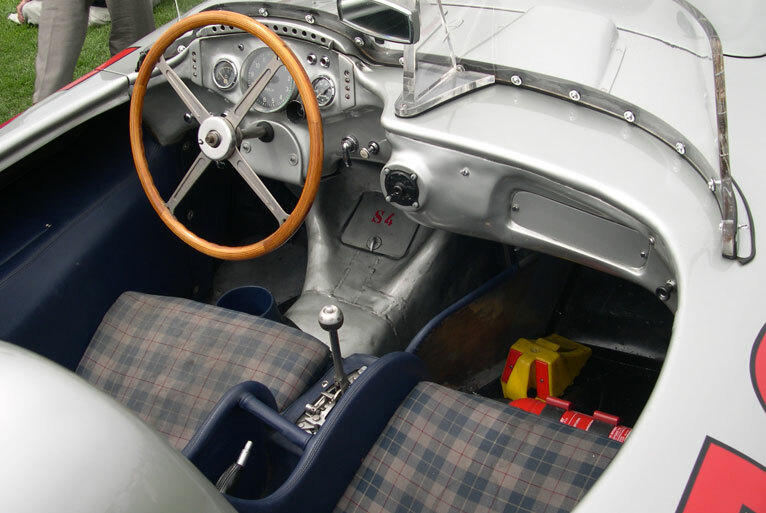 As you can see the cockpit is not loaded with creature comforts, just racing necessities to get the job done. 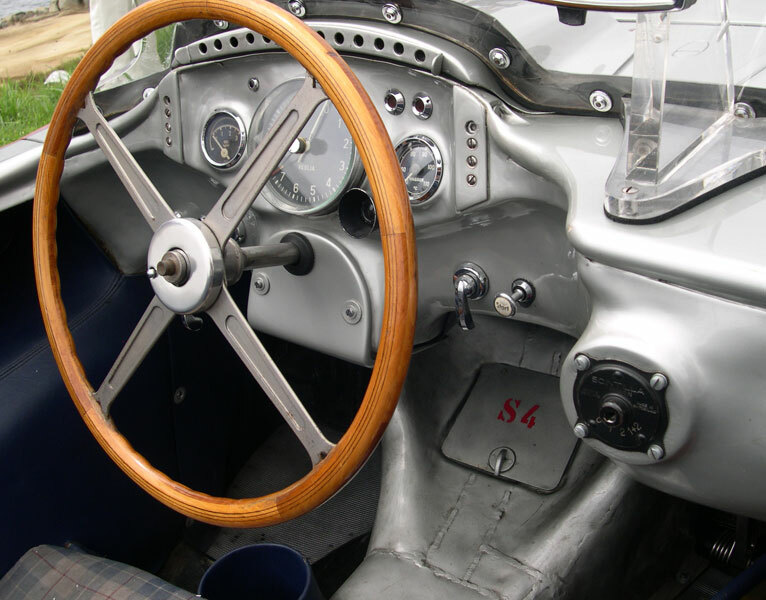 Safety was a bit of an afterthought at the time and some drivers believed it was safer be thrown from the car than to stay in the cockpit so seat belts were optional. 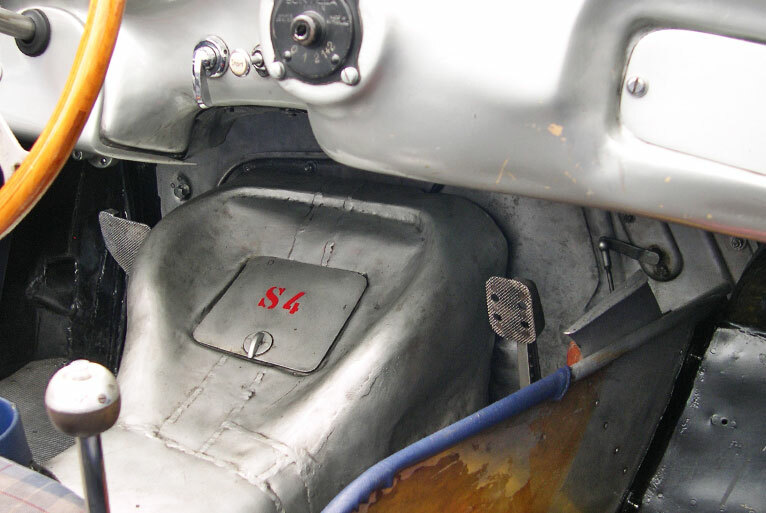 The pedal placement caught me by surprise. 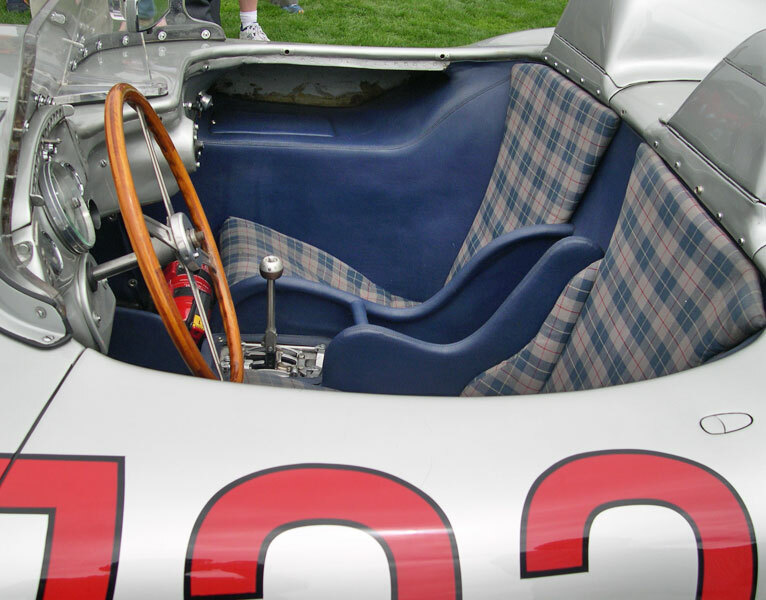 The gas pedal is on the right side of the bellhouseing so drivers had to straddle the driveshaft to operate the car. This seems like an awkward position as you drive over a hundred miles per hour! 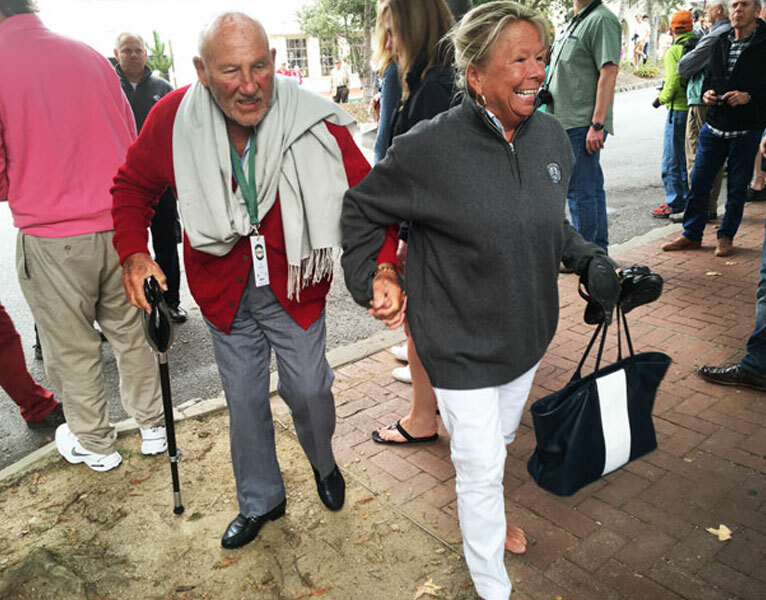 Stirling Moss and Lady Moss arrive at the Carmel-by-the-Sea Concours on the Avenue in 2016. The crowd was very enthusiastic to see them as they make the wonderful event a little more special. 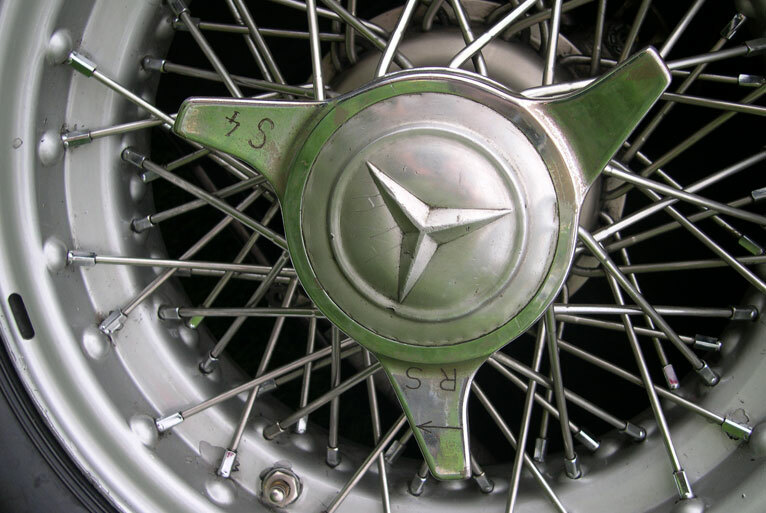 The amazing win Stirling Moss and navigator Denis Jenkinson had in this car at the 1955 Mille Miglia has proven to be one of the most legendary race performances of all time. 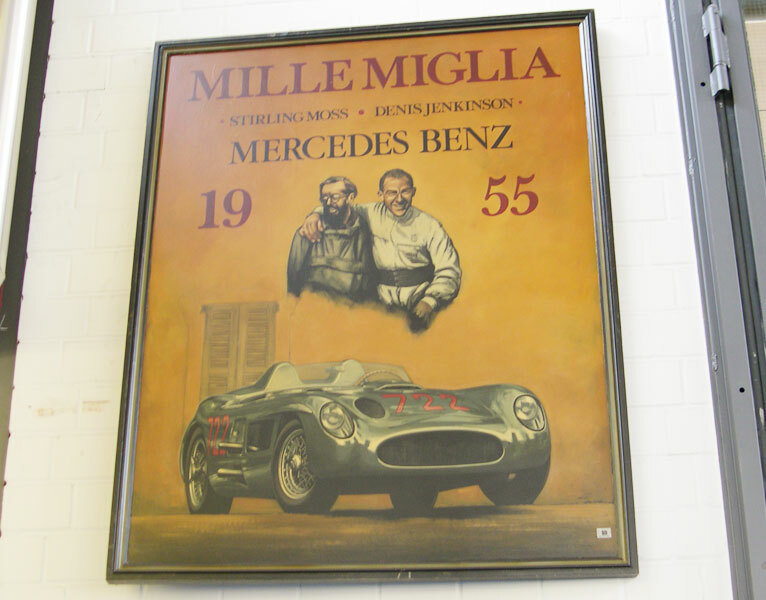 During my visit to the Mercedes-Benz classic center in Fellbach Germany I found a painting on the wall that immortalizes the famous 1955 Mille Miglia win. It is great when a special car and talented driving team come together to make history.